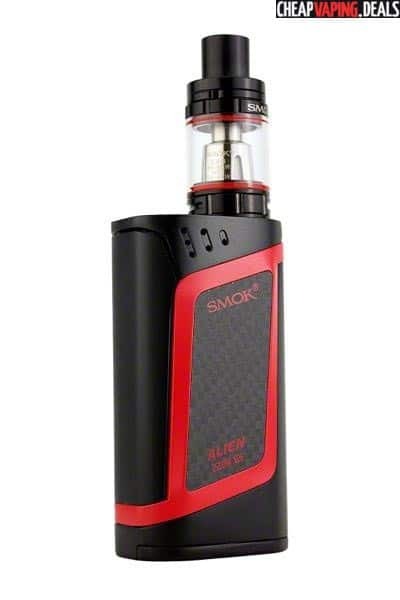 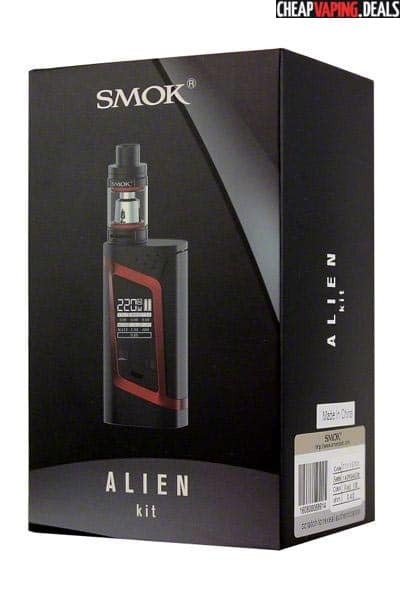 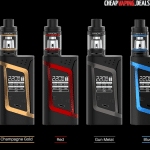 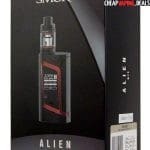 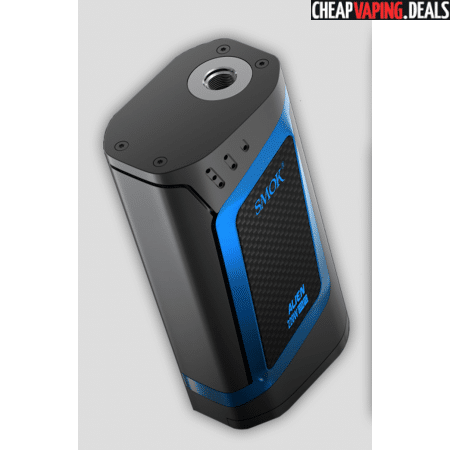 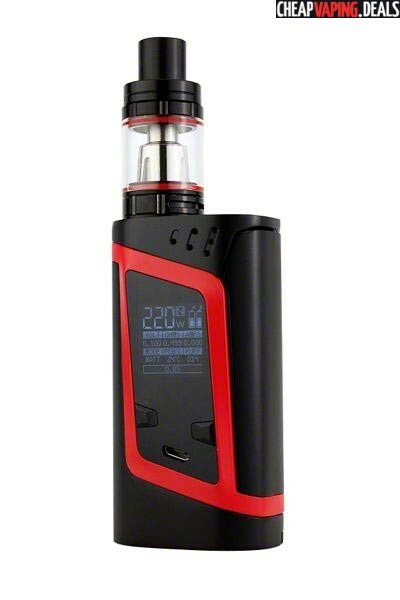 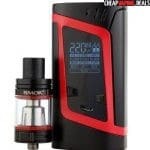 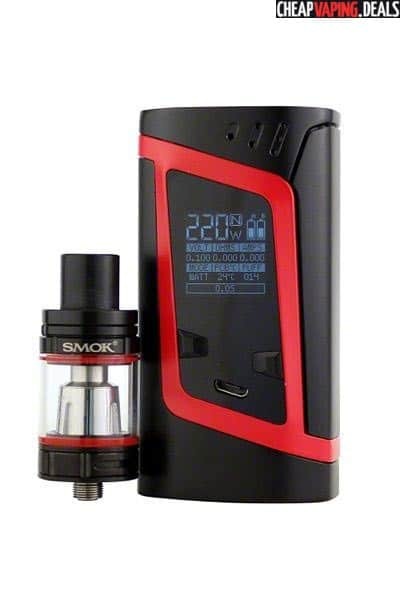 Here’s fantastic offers on the Smok Alien 220W Box Mod/Starter Kit also known as the RHA Mod/Kit. 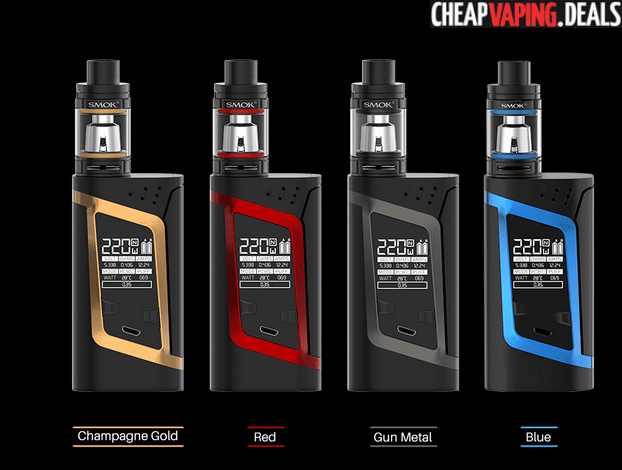 There are many different color options on various sites. The Smok Alien was recently renmaed to the Smok RHA. 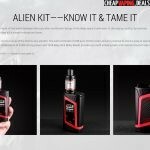 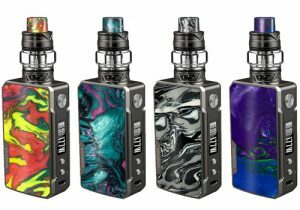 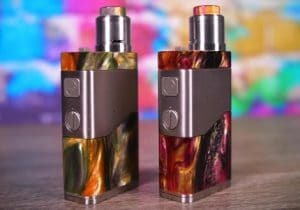 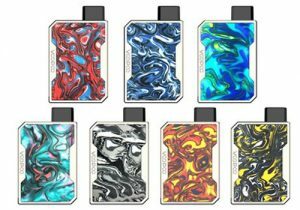 The kit includes the Alien or RHA box mod and the TFV8 Baby Tank. 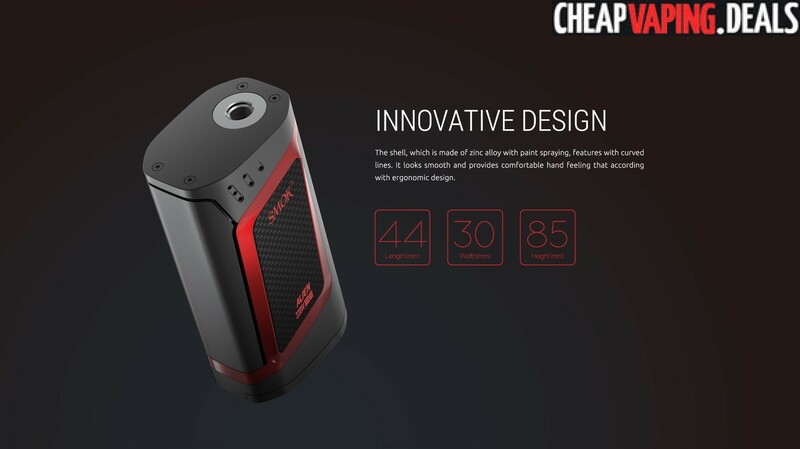 The Box Mod features massive 220W of power and the TFV8 Baby tank puts out massive vapor. 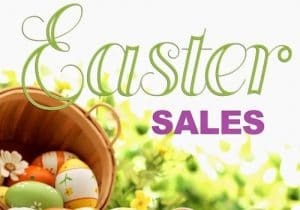 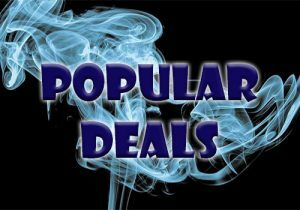 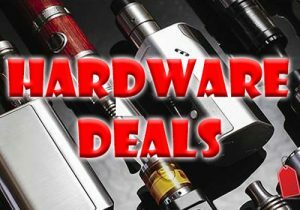 In combination, these devices make a great vape bundle, at an affordable price! 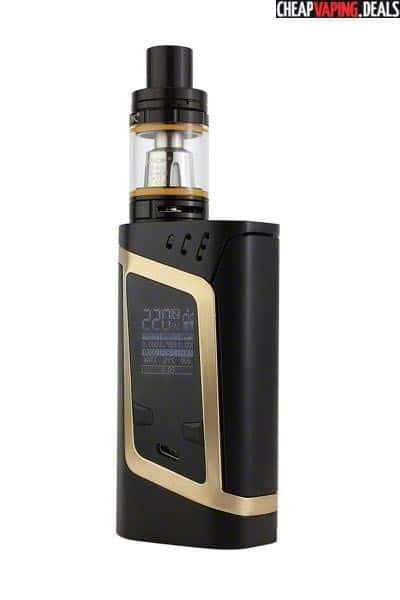 The kit is available in black & gold and black & red. 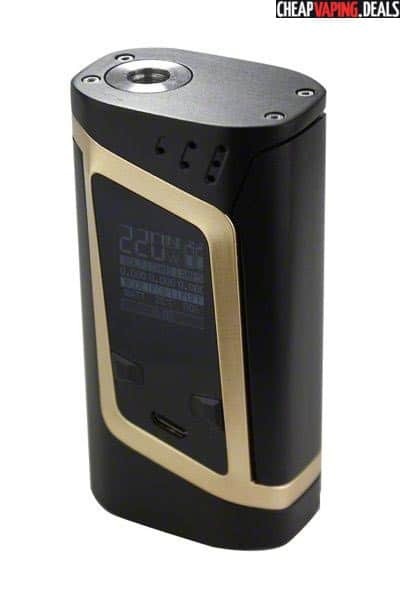 The RHA Mod has dimensions of 85mm x 44mm x 28.4mm so it is quite portable for a box mod that puts out a massive 220W . 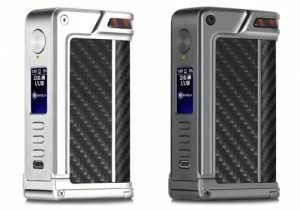 The device is made from zinc alloy with carbon fiber inlays. 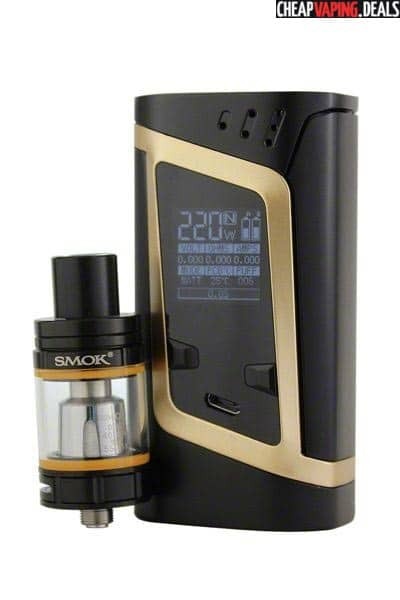 Its design is very unique with slanted gold or red lines encompassing the larger OLED screen, adjustment buttons and USB port. 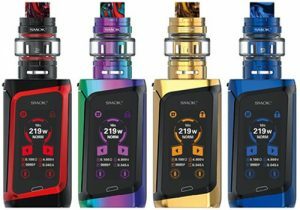 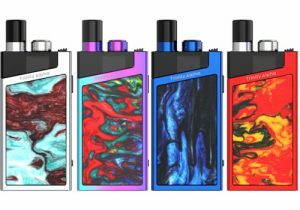 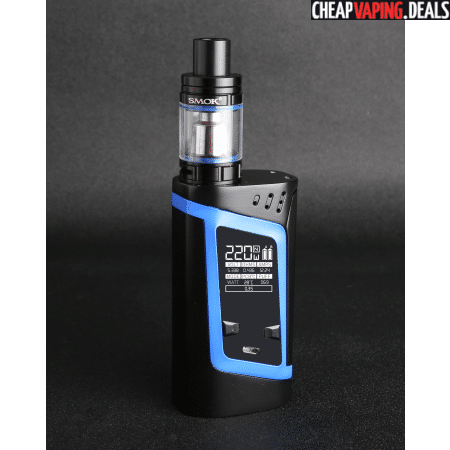 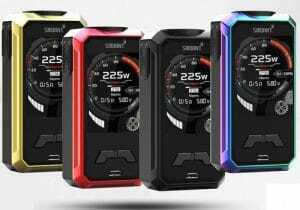 The screen’s easy-to-read menu features 6 lines and shows wattage, mode, battery level for each cell, resistance, coil type, puff time and number of puffs. 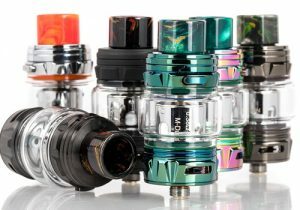 At the top of the Alien or RHA, there’s a 510 connection and on the side, the oversized hidden fire button is beautifully integrated into the design. 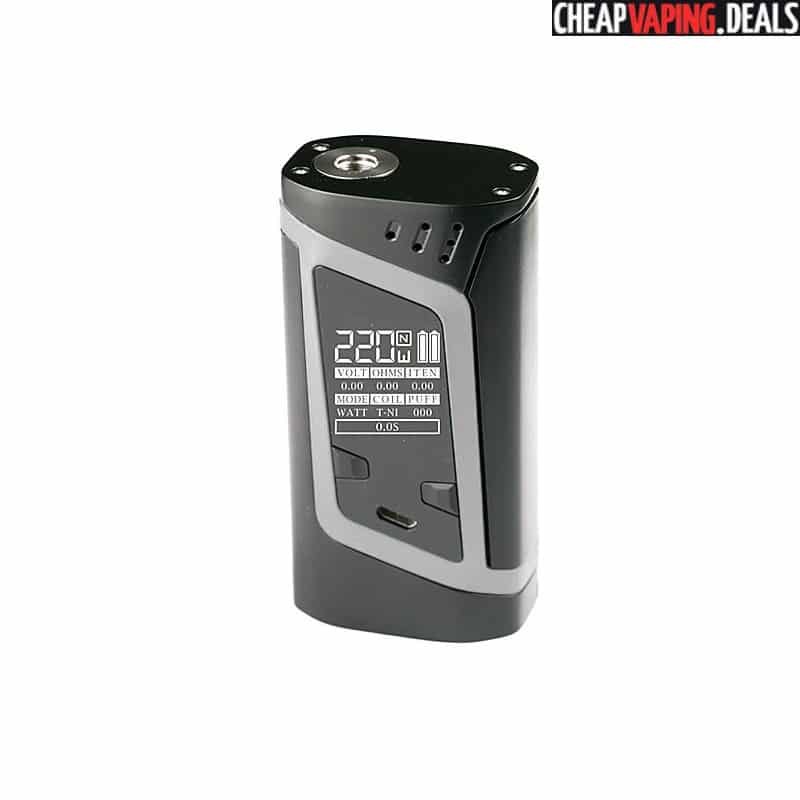 The mod gets its 220W of power from dual external 18650 batteries, installed behind a magnetic battery door. 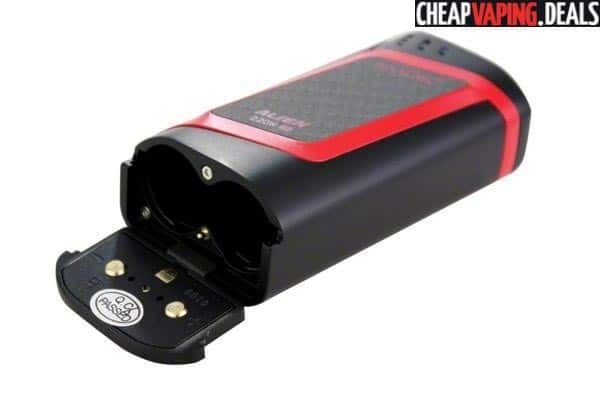 To top off the cells, you can charge them externally or you can use the on-board charging setup by plugging the unit into any USB wall outlet. 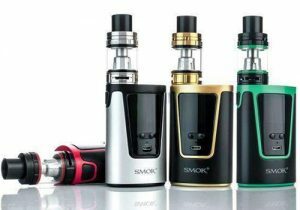 In addition to power mode, there’s also several temperature control modes that support nickel, titanium and stainless steel coil heads. 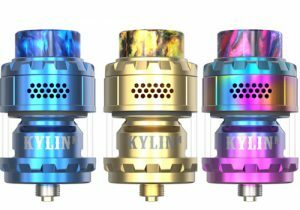 Temperatures can be varied from 200 to 600 degrees Fahrenheit and atomizers can have a resistance as low as 0.06Ω. 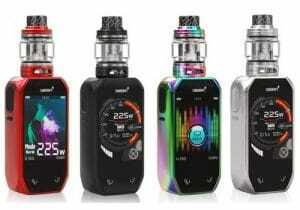 There’s also a TCR mode which allows the user to set the temperature coefficient of resistance for more accurate vaping and use with any coil type. 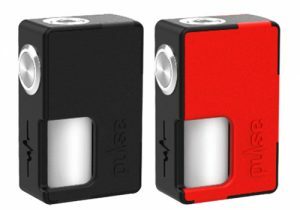 The Alien RHA box mod is built with firmware upgrade capability. 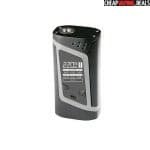 This can be done either via the easy wireless firmware upgrade that uses over-the-air technology to update the operating system. 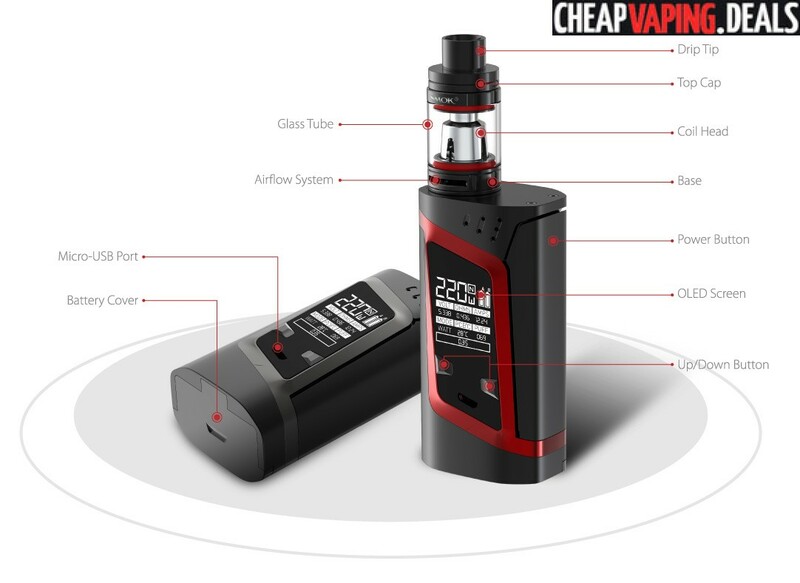 There’s also a smart app that utilizes Bluetooth so you can change the box mod’s settings and more from your phone or tablet. 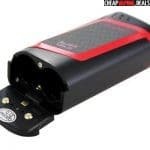 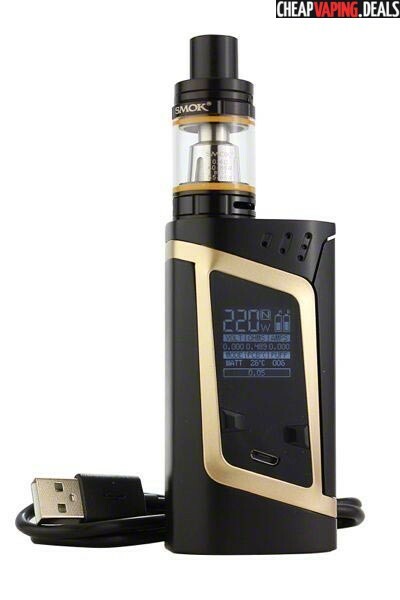 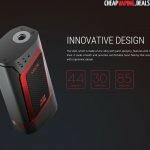 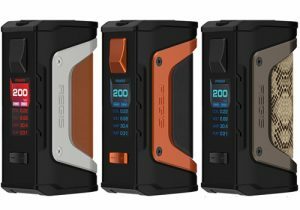 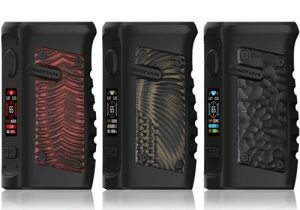 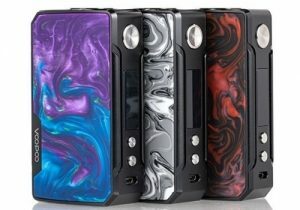 Although there are no details, the box mod is said to feature a wide range of safety protections. 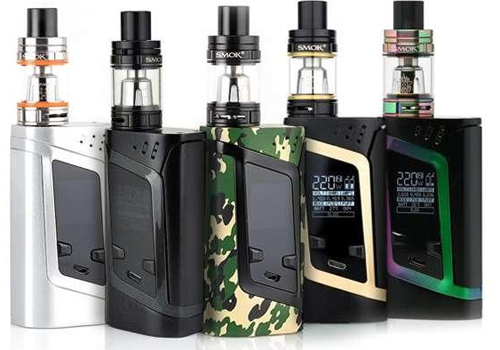 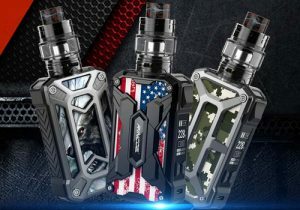 The TFV8 baby tank is also included in this kit and is the latest portable tank from Smoktech with huge vapor and amazing flavor. 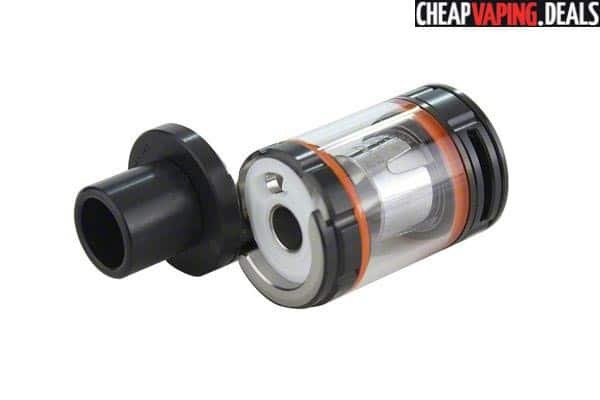 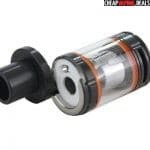 This portable tank atomizer works with 4 new coil heads, has a 3ml tank capacity, an easy top fill system and is black to match the Alien RHA mod. 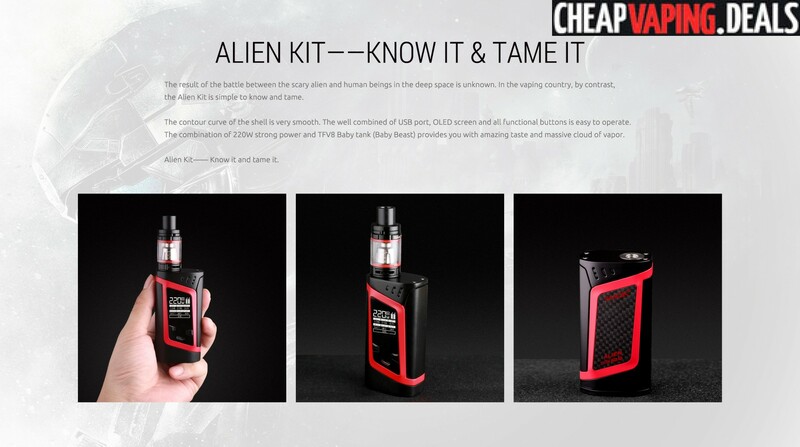 With purchase of this kit, you’ll get the Alien RHA Mod, the TFV8 Baby Tank, one dual 0.4Ω Baby Q2 coil head (installed), one octuple 0.15Ω Baby-T8 coil, a USB cable, a replacement tank tube, a few spare parts and a manual.